EK and I have spent many happy hours at BJ’S sports bar this last NBA season cheering on the Warriors. Few could imagine what crazy Warriors’ fan we have become. 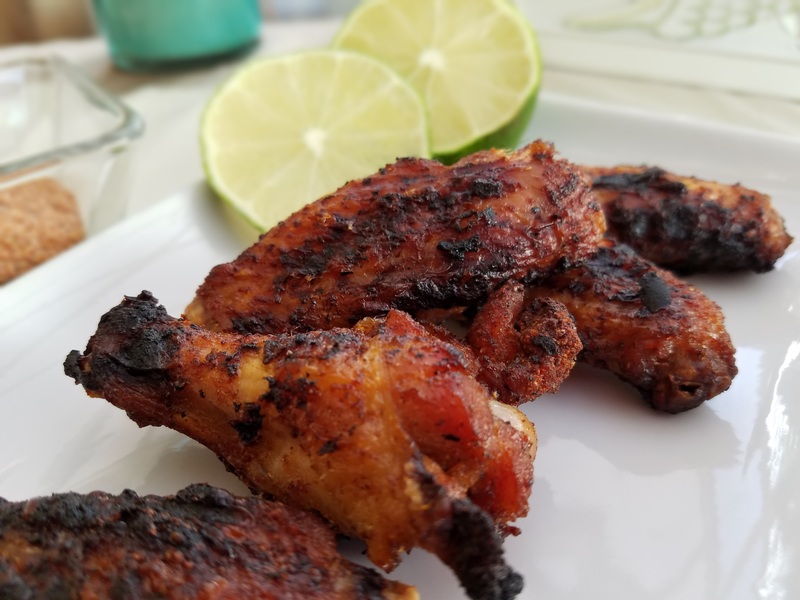 Our favorite game-time drink and snack are the top shelf margaritas and dry rub wings. This happy hour investment has indeed paid off with another championship win by the Warriors. Yay! Go Warriors! 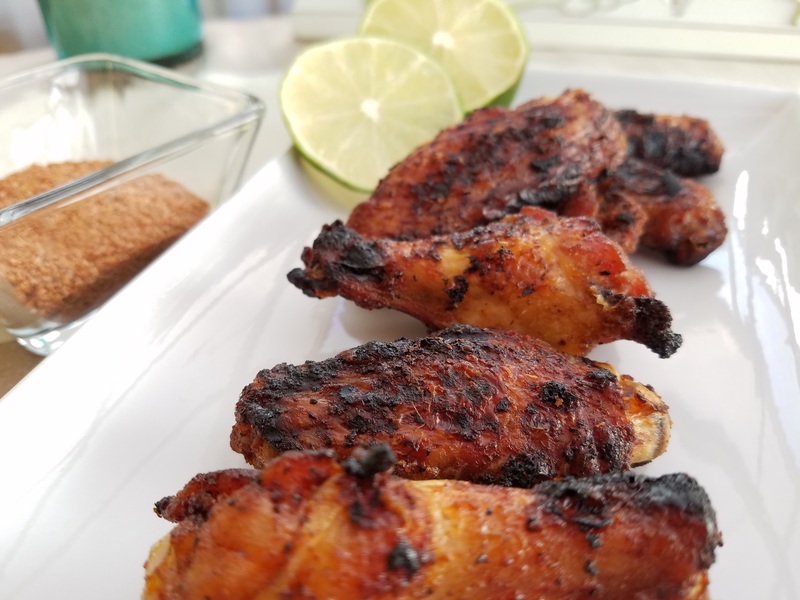 One other win from this season is that I have figured out how to make dry rub wings! Now that there are a few months break without games, we are suffering withdrawal symptoms. To fill the void, I’ll keep EK busy at the grill refining his skills on charred and juicy dry rub wings. We had success at our first attempt this weekend! The wings were gone so fast; I could barely save a few to take pictures for this blog post. Brine the wings. In a large saucepan, combine the salt, sugar, garlic, peppercorns and bay leaf with 2 quarts of water and bring to a boil. Cook over moderate heat, stirring, until the sugar and salt dissolves, about 3 minutes. Let cool to room temperature. In a large pot, pour the brine over the chicken wings. Cover and refrigerate for at least 3 hours or overnight. Meanwhile make the rub. In a bowl, mix all of the ingredients except the oil and lime. 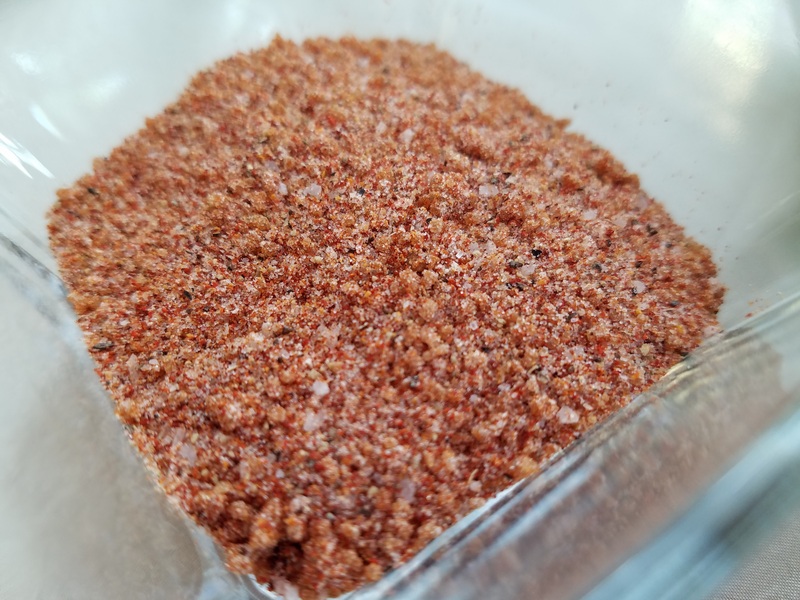 You will not use all the rub, keep remaining rub in an airtight jar in the refrigerator. Light a grill and oil the grate. Drain the wings. Pat dry with a paper towel. In a large bowl, toss the wings with 1/3 cup of the dry rub. Grill over moderate heat, turning, until nicely charred and cooked through, about 30 minutes. Serve hot with lime wedges.